Door chime stopped working? Static coming from the speakers? No sound? If so, your DMC-10 might have seen its last day. Due to the number of customers having similar problems it has come to our attention that the manufacturer no longer carries replacement parts or repairs this unit. But don’t worry, the Intrasonic I2000 is a great replacement. The I2000 speakers fit in the same openings as the DMC-10, so no drywall repair is required. The existing wire can be used. RJ45 jacks (similar to ends on internet cables) are installed on the ends of the cables. 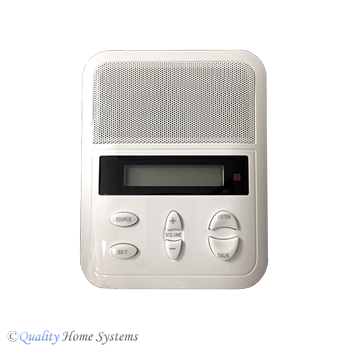 The I2000 system not only provides the same intercom and doorbell functions as the DMC-10, but also offers AM/FM radio and MP3 input at both the master stations and intercom speakers. 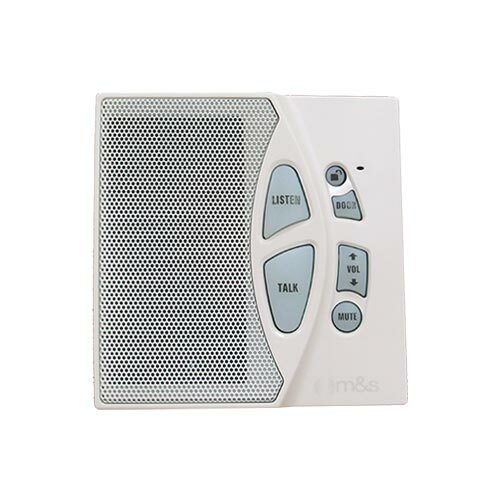 These are optional; the I2000 can be used as an intercom-only system like the DMC-10. We offer complete turn-key packages that make it easy to order a replacement system. If you would like more information on the Intrasonic I2000 or have questions, please contact our friendly experts. I am looking to replace my DMC-10 Intercom System I have two outside units and one main unit in kitchen with 2 additional units in the house. Robin, We do have replacement systems available to fit your needs. Please give our technicians a call at 1-800-533-3249 to provide us with a bit more information so we can guide you in the right direction for a replacement system. Quotes are available. I need a quote to replace a seven room DMC10 system with a door bell monitor. Please go to our help page and fill out your information or give us a call at 800-533-3249 and we will gladly send you a quote.